All bouquets are boxed upright and include clear glass vase containing approximately 1 1/2” of water. All bouquets are boxed upright and include clear glass vase containing approximately 1 1/2” of water. 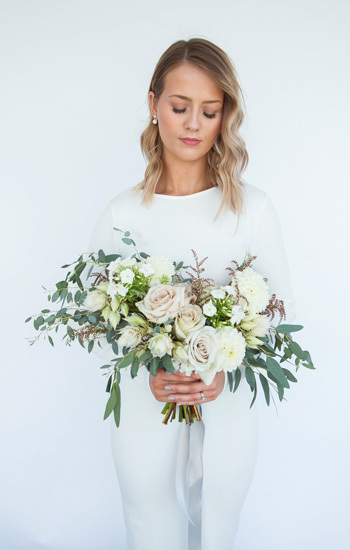 Bridesmaid bouquets will be made to compliment the bride bouquet. Similar style, colour and flower choices. 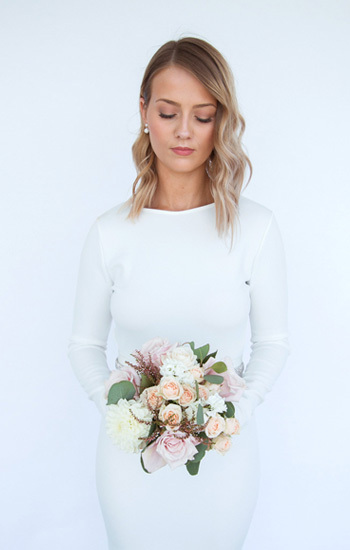 Simple and understated with flowers to match the bouquets. Each boutonniere includes 2 black pins. Stems are wrapped wrapped in a neutral color of designers choice. All items are individually boxed for maximum protection from damage before worn. Comfortable white pearl bracelet. Flowers to match the bouquets. Fits all ages. 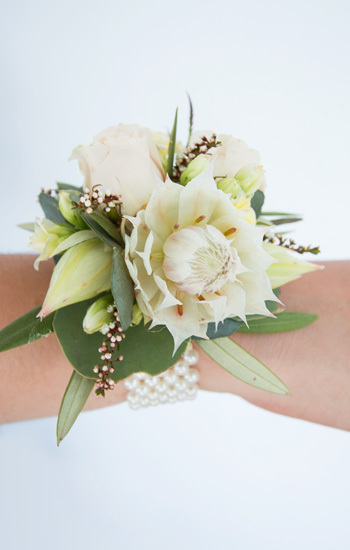 Feminine, boutonniere style corsage. 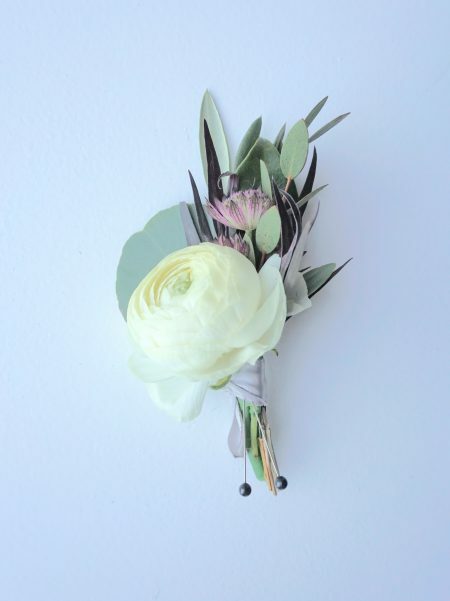 Simple boutonniere style corsage. Flowers to match the bouquets. Includes two white pearl pins. Small blooms, accent flowers and small bits of miscellaneous greenery. Colors and aesthetic will match inspiration photos. Ribbon on either end to be tied on, no need for measurements. Individually packaged and moisture sealed until worn. 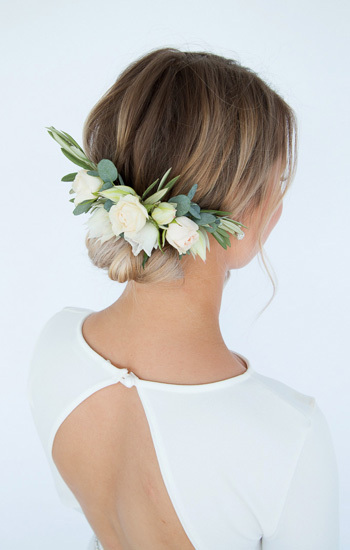 An understated selection of flowers attached to a neutral coloured hair comb. 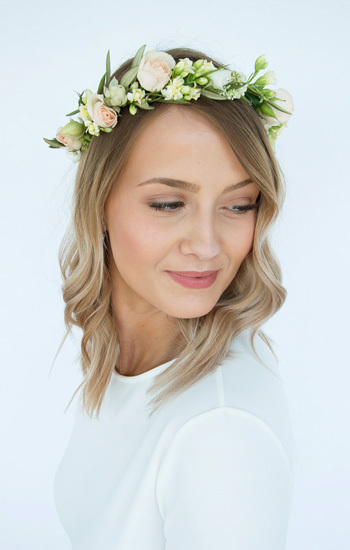 This is made to compliment the colours and design aesthetic of the bouquet you carry. Measures approximately (4 +/-) inches long. 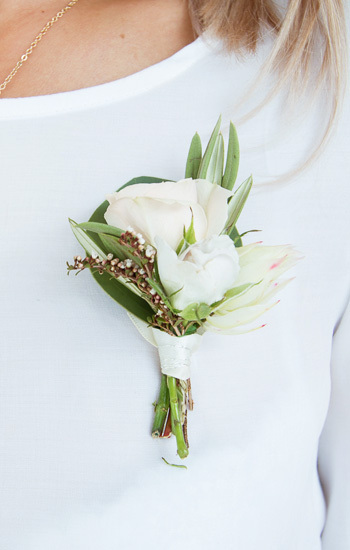 Small bouquet made to toss at your reception so you don’t have to throw yours! This item is our smallest bouquet size - measuring approximately 5 inches in diameter. Copyright © 2018 Amborella Floral. All rights reserved. Website by Projech Design. We have sold out all of our availability for the weekend of August 31, 2019. Thank you for all the support & love!